The majority of the people of colonial-semi feudal East Bengal are petit bourgeoisie, that is, peasantry (agricultural workers, poor peasants and middle peasants), intellectuals, small servicemen, shopkeepers, handicraftsmen, etc. The East Bengal Workers Movement is not only encircled by this class, but also most of its members are from that class. Moreover, at the present socio economic condition of East Bengal, the working people and party members originated from them have also petit bourgeoisie impression. This is why it is no surprise at all, rather it is inevitable that petit bourgeoisie ideology will manifest in organization in various forms. Apart from that, the outside party petit bourgeoisie, influence of domestic and international big bourgeoisie, hardship of revolutionary life bring decay in thinking of proletarian cadres, the bourgeoisie aspect inside them get prominence and they become opportunist. So, the struggle against the bourgeoisie ideology and its manifestations will go on inside party and party-cadres so long as class struggle exists in society. That is, the struggle of whether party and cadres will remain proletarian or they will be bourgeoisie will go on so long as class exists. Sometimes, that struggle will intensify and take the form of open class struggle. Chairman Mao taught us that if advance cadres of proletariat do not draw a sharp line of distinction between Marxist-Leninist ideology with the petit bourgeoisie ideology of some party members, and do not struggle them seriously, properly and perseveringly, then it will be impossible to clear the petit bourgeoisie ideology and its manifestations. More importantly, those petit bourgeoisie members inevitably will try to transform the advance force of the proletariat according to their nature (that means, try to transform into petit bourgeoisie – Author) and seize party leadership. Thus, they will try to inflict losses to the objective of the party and people. The more the petit bourgeoisie remains outside party and the more the petit bourgeoisie origin members remain in party, the more strictly the party will keep its purity as the advance force of proletariat and draw crystal clear demarcation line between the proletarian ideology and its manifestations on the one hand, and the bourgeoisie ideology and its manifestations on the other. We must always abide by Chairman Mao’s this directive. 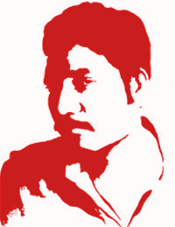 The proletarian revolutionaries of East Bengal have historically realized by summarizing the experiences of domestic and international communist movement that the establishment and sustenance of a revolutionary proletarian party depends on how much they are able to clear the petit bourgeoisie ideology and its manifestations inside party and various forms of revisionism of inside and outside party (Modern revisionism, Neo-revisionism, Trotskyism, Guevarism etc.) through struggle. Taking own wish or imagination as matter by not reflecting matter in brain. When idea and concept are not proper reflection of matter but divorced from that. The law of unity of opposites is the fundamental law of world. That is, every contradiction in matter has two aspects. For instance, comrades have proletarian and bourgeoisie aspect, good and bad aspect, strong and weak aspect while those who are one-sided only see one aspect and do not see the other. Every matter in the world is moving because of the struggle of contradictions inside it. Knowing an object means knowing its internal contradictions and its relation to other objects. Superficiality is that what remains satisfied without knowing this way, but only seeing the outer surface, phenomenal side and appearance, thus not knowing matter completely. Every matter is moving because of the struggle of contradictions inside it. The thinking of many of those who are engaged in transformation of matter remain backward than motion of development of matter. Their thinking is divorced from social practice, and they cannot march ahead to guide the chariot of society; they simply trail behind, grumbling that it goes too fast and trying to drag it back or turn it in the opposite direction. For example, when in any area, peasants by being inspired by political work want to go ahead in armed struggle, comrades-in-charge stop that by saying that time has not matured yet, still there is no organization in other places etc. This is a manifestation of right opportunism. The thinking of the left adventurists outstrips a given stage of development of the objective process; some regard their fantasies as truth, while others strain to realize in the present an ideal which can only be realized in the future. They alienate themselves from the current practice of the majority of the people and from the realities of the day, and show themselves adventurist in their actions. Right opportunism and left adventurism arise from improper adjustment of subjective and objective. The dogmatists remain satisfied with knowledge of books, that is, conceptual knowledge, but they do not verify that in real practice and thus do not achieve perceptual knowledge. To remain satisfied with perceptual knowledge on the eve of real practice, depend on that, not sum up perceptual knowledge with the help of Marxism-Leninism-Mao Tse-tung Thought to discover the law of matter and thus, not raise perceptual knowledge to the stage of theory and plan. To always confine leadership in the hands of a few by not giving work responsibility to new and capable cadres. In the past, the guild masters (owners of small handicraft factories) did never let guild apprentices to be guild master. It arises when a department or organizational level discard “lower level is subordinate to higher level, part to whole, individual to organization and the whole organization to the Central Committee” and thinks about only own unit, level, department and form a fortress with own lackeys. It falls under factionalist activities. It arises from bourgeoisie individual interest.